I focus too much on London with these news posts, so it’s refreshing to get a chance to look further afield now and again. Two of the regular gig-engines that I keep an eye on are Cheltenham’s friendly and broadminded improve evening Xposed Club, and Birmingham’s self-propelled compulsive bass collaborator Steve Lawson – so it’s good to be able to feature a gig by each of them here, plus news on the only 2017 gig planned (so far) for Theo Travis’s Double Talk quartet. With Double Talk, saxophonist Theo Travis pulls together his diverse influences and drives – his lyrical Stan Getz-ish jazz approach, his taste for ambient experimentalism, and the push-pull strands of his beloved English art rock and prog strands (spanning the likes of King Crimson, Gong and Porcupine Tree through to the influence of Theo’s other main gig as a member of Soft Machine) – more successfully than with any of his other projects. Allying Theo with drummer Nic France, Hammond organist Pete Whitaker and the extraordinarily malleable guitar of Mike Outram, Double Talk produce a warm, thoughtful, textured and propulsive jazz – managing their fusion leanings without falling into the trap of electric sterility, expressing their irreverent Englishness without drowning in soapy tweeness; an exhibition of subtle, graceful and reflective muscle. At this Fleece Jazz gig, they’ll be mainly (though not exclusively) concentrating on music from their 2015 album ‘Transgression’. Another of Steve Lawson’s hometown low-end gigs-with-pals is coming up in the shape of this “all-West Midlands solo bass extravaganza” – more details below. “Midlands bass legend Dave Clarke has been a regular on the scene for twenty-five years, touring with Surinder Sandhu, Alvin Stardust, The Contours and Chairman Of The Board, and gigging in pretty much every pop style imaginable. Dave returns to Birmingham Bass Night with his much-loved looping piano/bass experimental duo, the Rowberry/Clarke Project. “UK bassist Russ Sargeant uses his instruments, along with technology and effects, to create beautiful, layered music. His work has been described as “wonderfully immersive” and “subtle layers of sound that emerge gracefully like cinematic soundtracks”. 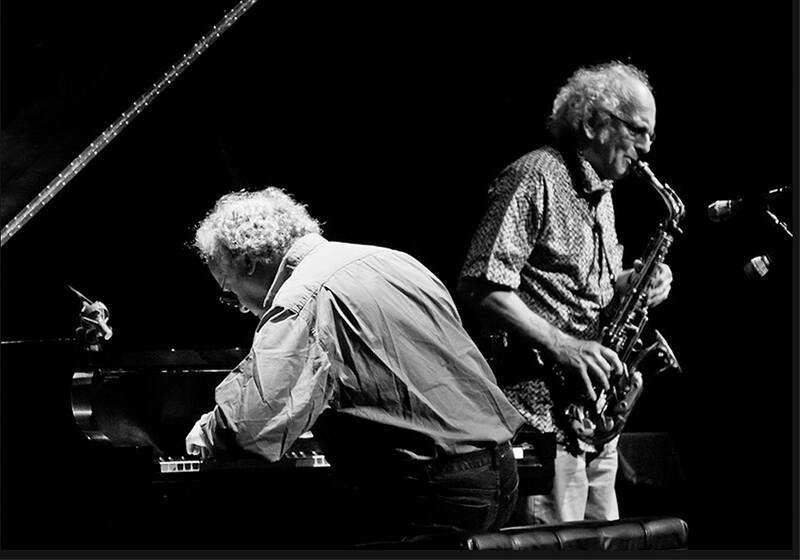 Friends and collaborators for more than forty years (since meeting in Trevor’s Moiré Music Group, which pursued a unique combination of African rhythmic structures with the European musical tradition) saxophonist Trevor Watts and pianist Veryan Weston have been at the forefront of many innovations and developments within the jazz/world and improvisational areas of music. Trevor is the only surving founder member of The Spontaneous Music Ensemble, began the Amalgam group in 1967 (with bassist Barry Guy and trombonist Paul Rutherford), and was a founder member of Barry Guy’s London Jazz Composers Orchestra. He also founded The Drum Orchestra which, over a seventeen-year span from 1980, combined the talents of musicians from North and South Africa and Latin America. Initially a collaborator with Lol Coxhill and Eddie Prévost in the early ‘80s, Veryan reveals new aspects of an ever-changing improvised music identity depending on who he is playing with: he spent much of the ’90 working with vocalist extraordinaire Phil Minton, and other collaborations have included Carla Bley’s Escalator Over The Hill, John Zorn’s Cobra and (more recently) Sol6 and the 2014 Lindsay Cooper memorial project. His work with Jon Rose on the ‘Temperament Project’ uses assorted acoustic keyboards and violins with “selected tunings derived from science, history and the imagination”, and his formal composition work with the ‘Tessellations’ project produces pentatonic pieces for choir, piano, string quartet and other formats. Sharing musical interests (particularly in rhythmic ideas), the two have maintained a long standing improvisation-focussed duo, highly acclaimed for their recordings and worldwide live appearances. Having previously joined forces with drummer Terry Day and bassist Dominic Lash, they’re currently operating as a trio with the involvement of free improvising cellist Hannah Marshall – a force on the UK scene and beyond who continues to “extract and invent as many sounds and emotional qualities from her instrument as she can… influenced by environmental sounds, western classical music, jazz, noise, traditional songs and blues amongst many things…” As well as work with Veryan on the Tuning Out Tour, the Trio of Uncertainty and Haste (and with others including Rachel Musson, Julie Kjaer, and Tim Hodgkinson), Hannah collaborates on and scores many other performing-arts works within theatre, dance, storytelling, film and live art. Last time he played at Xposed Club (nine years ago) Han Bennink packed the place out. At the age of seventy-five, the onetime hard-swing drummer retains the lifelong energy that’s made him a linchpin of the Dutch improvisational scene. From backing various American stars on their visits to Holland in the 1960s, Han went on to co-found the musicians collective Instant Composers Pool in 1967 with pianist Misha Mengelberg and saxophonist Willem Breuker. With additional skills on clarinet, violin, trombone, piano, soprano saxophone and banjo (and a parallel career as a visual artist) he’s one of Europe’s most diverse improvisers, working with Derek Bailey, Misha Mengelberg and John Tchicai, amongst others. Han’s also been in a number of trios, including the sax-cello-drums Clusone 3 (with Michael Moore and Ernst Reijseger, creating a “free-wheeling mix of swinging jazz standards, wide-open improvising, and tender ballads”) and a sax-piano-drums arrangement with Peter Brötzmann and Fred van Hove. His current main trios are his own Han Bennink Trio (with Joachim Badenhorst on clarinet and Simon Toldam on piano) and a piano-bass-drums alliance with Cor Fuhler and Wilbert de Joode. He remains a member of Mengelberg’s ICP Orchestra and the Tobias Delius Quartet. Throughout all of this, he’s also kept up his interest in non-standard/found object percussion, something which dates back to his first experiments with a kitchen chair at the start of his playing career (he still plays one whenever he had the opportunity). Han also retains an active fondness for the spontaneous duo gig, and for this Xposed appearance he’s joined by pianist Pat Thomas. An improv festival veteran, Pat’s own history is one of mingling organic musical influences (jazz, reggae, classical) with electro-acoustic experimentation – when not playing piano, he’s working with programmable keyboards and with found-sound created by taping and editing random soundtracks from TV broadcasts. 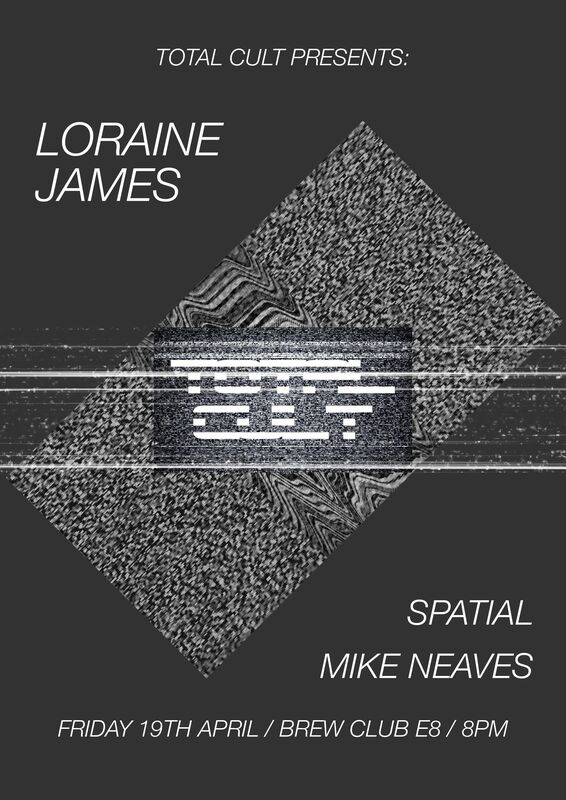 In the mid-’80s he played in Ghosts with percussionist Matt Lewis and wind/EWI player Pete McPhail, the latter of whom would also be a member of Pat’s experimental tentet Monads (which specialised in running a gamut of improvisational possibilities from saxophone-led pieces to others which foregrounded turntables, drum machines and computers). During the ‘90s Pat was a member of the intermittent quartet Scatter (with Phil Minton, Roger Turner and Dave Tucker). He’s also played extensively with Tony Oxley, Mike Cooper. Derek Bailey and Lol Coxhill, has a keyboard-and-percussion duo with Mark Sanders, and a trio with Steve Beresford and Francine Luce. The opening act on the bill is extended-technique reedsman Chris Cundy: an Xposed Club regular and favourite with roots in Medway busking, a roving Cheltenham/Canada base, and a history that includes work with Fyfe Dangerfield (exploring both art pop with Guillemots and more avant-garde improvising terrain with Gannets), freak-folkers Timbre Timbre, doom-soul singer Cold Specks, florid transgender romantic Baby Dee, acclaimed indie/jazz/folk artist Devon Sproule and others. The master of a range of approaches (multi-phonics, circular breathing and microtonality) and of assorted standard and unusual woodwind and reed instruments, Chris dips into everything from the philosophical experiments of Cornelius Cardew and John Cage to out-and-out improv to theatre work. For this particular gig, he’ll be concentrating on his bass clarinet work.